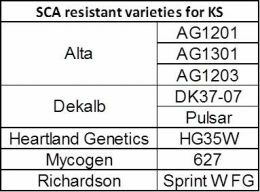 A number of sorghum hybrids have now been identified which express variable, but quite significant, levels of resistance to sugarcane aphids (SCA). 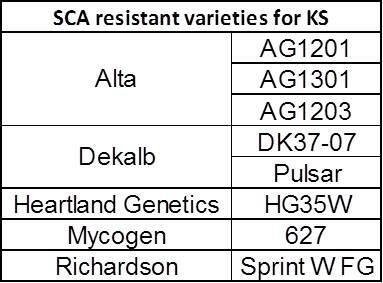 Below is a list of those which are potentially suitable for planting in Kansas, based on having early to med-early maturity. Conventionally, a source of aphid resistance is first identified in some odd land race of the crop and then intentionally bred into commercially acceptable parental lines, resulting in a wide range of hybrids that all express the same trait. 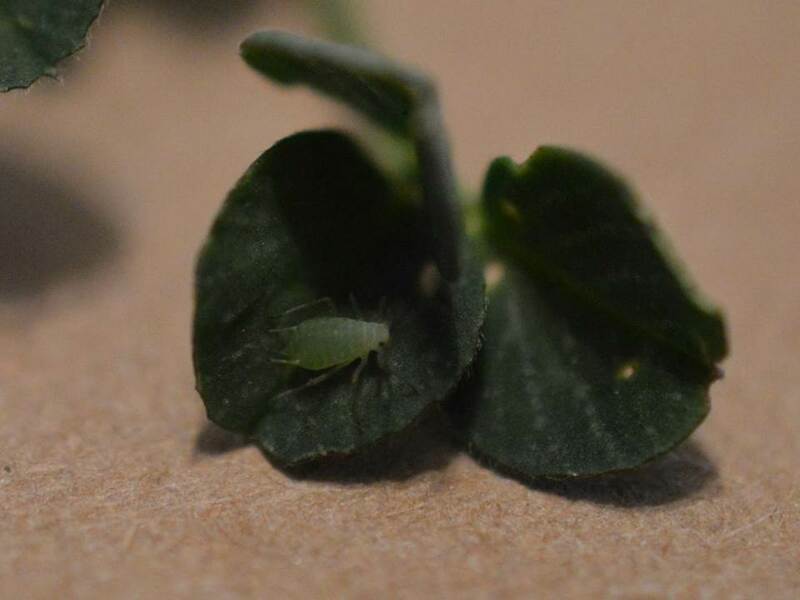 Success with this approach is usually only temporary because reliance on a single trait exerts strong selection on the aphid population to evolve virulence; often only a small genetic change in the aphid is required and the trait is no longer effective. 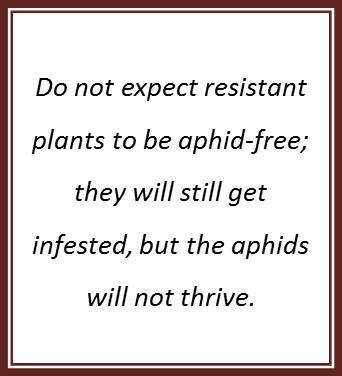 In contrast, every example of fortuitous resistance is most likely due to completely different traits that have a similar end result for the aphids, albeit via different mechanisms: reduced immature survival combined with slower rates of growth and reproduction. 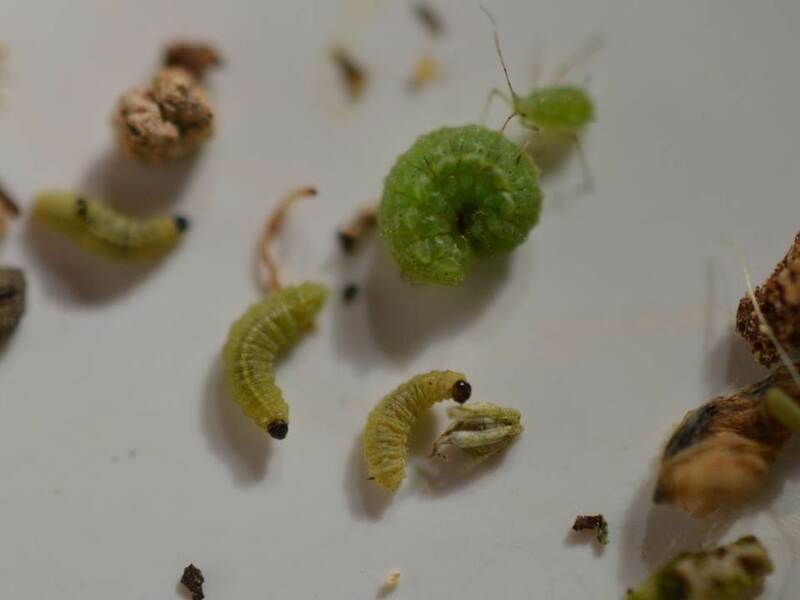 The use of multiple resistance traits will dilute the strength of selection acting on the aphids because a single genetic change is no longer likely to confer virulence to all these different traits. Thus, the outlook going forward is very positive as we would expect these traits to remain effective for some time. The use of resistant hybrids is encouraged because they serve to synergize the impact of natural enemies and reduce the need for spraying. 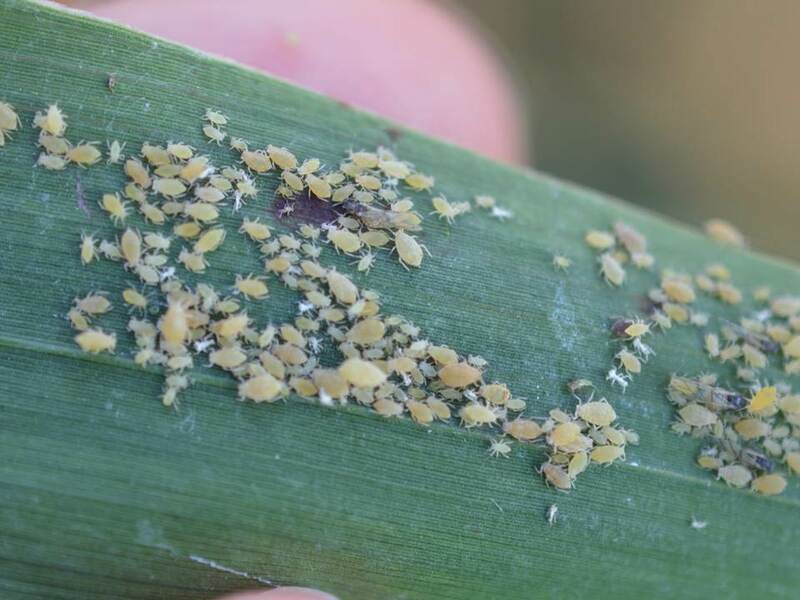 Slower aphid population growth means more time for predators to arrive in sufficient numbers and consume all the aphids before they can reach densities sufficient to escape biological control. 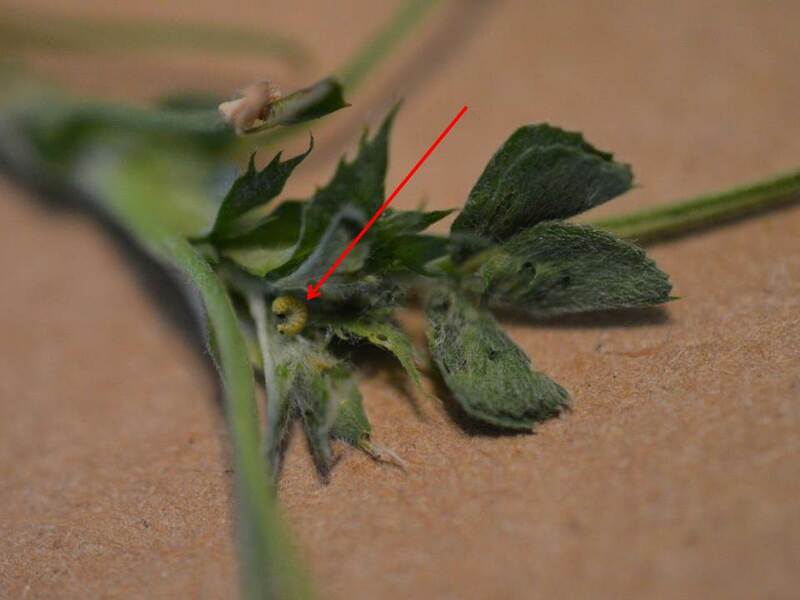 It also means that management decisions are not quite so urgent as aphids approach threshold numbers that may require an insecticide application. 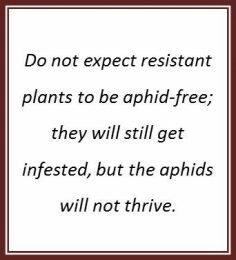 But do not expect resistant plants to be aphid-free; they will still get infested, but the aphids will not thrive. Some hybrids may even need to be sprayed once, so be sure to scout early and scout often.